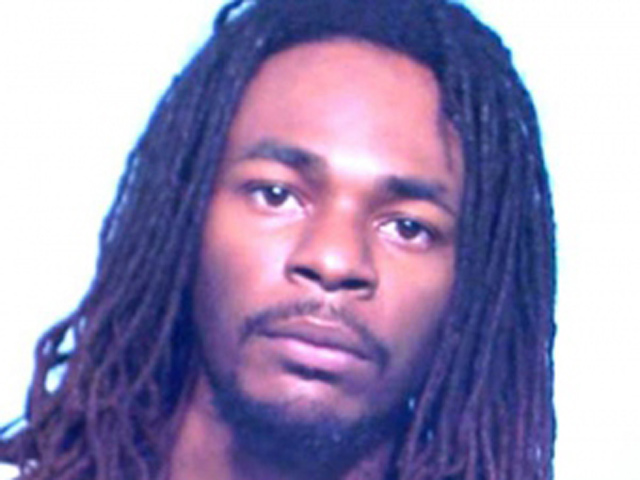 (CBS/AP) CHICAGO - A 26-year-old suspected gang member has been charged with first-degree murder and aggravated battery in the shooting death of 7-year-old Heaven Sutton who was gunned down while selling snow cones near her house last week. Police say Jerrell Dorsey of Chicago was taken into custody Friday night and charged early Sunday. He appeared in court later Sunday, where a judge ordered him held without bail. Heaven Sutton was with her mother Wednesday night when police say someone walked up to another group of people and opened fire down the street. The girl was struck by a stray bullet as she ran away. According to CBS Chicago, a 19-year-old man was also injured during the shooting, suffering a gunshot wound to his ankle. The Chicago Tribune reports that Dorsey's lawyer, Eric Dunham, said Dorsey was in the area when the girl was shot but was not the gunman. The girl's family is accepting donations for Heaven's funeral expenses, CBS Chicago reports. Donations can be made to the Heaven On Earth Fund at any U.S. Bank location. The station reports that Mayor Rahm Emanuel's office said in a statement Saturday: "No parent should have to endure this type of pain. Bringing Heaven's shooter to justice will not bring her back, but I hope it will provide some level of solace to her family. We cannot lose another innocent child to violence and I will continue to fight to make sure the Chicago Police has (sic) the resources it needs to stop the violence."